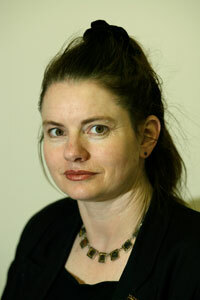 Helen Lowe is a new children/young adult author from New Zealand. Thornspell is her first novel. She also has sold the series listed below. For more information, visit Helen Lowe’s website. Read the first chapter of Thornspell at the Thornspell website. Rebecca, who lives in New Zealand, recently met with NZ author Helen Lowe to discuss the release of Ms. Lowe's second novel The Heir of Night (first novel in her series The Wall of Night). Read Rebecca's reviews of The Heir of Night and Helen Lowe's children's novel, Thornspell. REBECCA: What was the first glimmer of inspiration that you had that eventually led to The Wall of Night? To be more specific, one of the book’s major ideas is that of the Wall and the Houses that live there, whose task it is to guard Haarth from the Swarm. What was the thought-process behind the concept of the Wall? The Wall of Night — (2010-2015) Publisher: If Night falls, all fall… In the far north of the world of Haarth lies the bitter mountain range known as the Wall of Night. Garrisoned by the Nine Houses of the Derai, the Wall is the final bastion between the peoples of Haarth and the Swarm of Dark — which the Derai have been fighting across worlds and time. Malian, Heir to the House of Night, knows the history of her people: the unending war with the Darkswarm; the legendary heroes, blazing with long-lost power; the internal strife that has fractured the Derai’s former strength. But now the Darkswarm is rising again, and Malian’s destiny as Heir of Night is bound inextricably to both ancient legend and any future the Derai — or Haarth — may have. If Night falls, all falls. 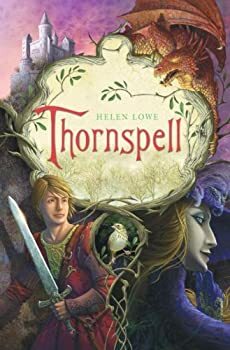 Helen Lowe’s début novel Thornspell was a retelling of the Sleeping Beauty story from the Prince’s point of view. The Wall of Night trilogy is a more traditional epic fantasy, though it contains a dash of science fiction and a unique setting that sets it apart from the usual swords-and-sorcery fare. 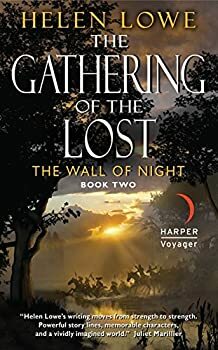 The Gathering of the Lost is the second installment in Helen Lowe's THE WALL OF NIGHT quartet, the first being The Heir of Night, in which we were first introduced to the story's protagonist: Malian, the rightful heir to the House of Night, the first of the Nine Houses that garrison the mountain range known as the Wall. Malian's people, the warlike and indomitable Derai clans, have defended the Wall of Night for generations against that which lies beyond it: the demonic Darkswarm. Though the defences have held for countless years, the Darkswarm have now breached the Wall and found their way into the world of Haarth, spreading their propensity for strife and unrest throughout each city they come across. Daughter of Blood (2016), is the third book in Helen Lowe's four-book WALL OF NIGHT series, preceded by The Heir of Night and The Gathering of the Lost. It's been a while since I read the last book, so it took a few chapters to untangle the far-reaching web of characters and plotlines, but soon I was back on track and re-immersing myself into the world of Haarth. As much as I love reading fairytales, there's always the sense that I'm only getting half of the story. There's never any character development, explanations on where those magical artifacts come from, or why the bad guys act so villainous beyond the fairly rudimentary: "they're evil." In fairytales, things just happen, with little or no back-story. Which is why I've always appreciated authors who consider the missing pieces to any fairytale and fill them accordingly with their own ideas. Donna Jo Napoli has built her career on this technique, with wonderful fleshed-out fairytales such as Spinners and Zel, retellings of the Rumplestiltskin and Rapunzel stories, among others.